Jordan Elise & Chris Lees AKA “Horrible Adorables” return to Woot Bear! Preparations are already underway for this weekends “Beastminster” show. 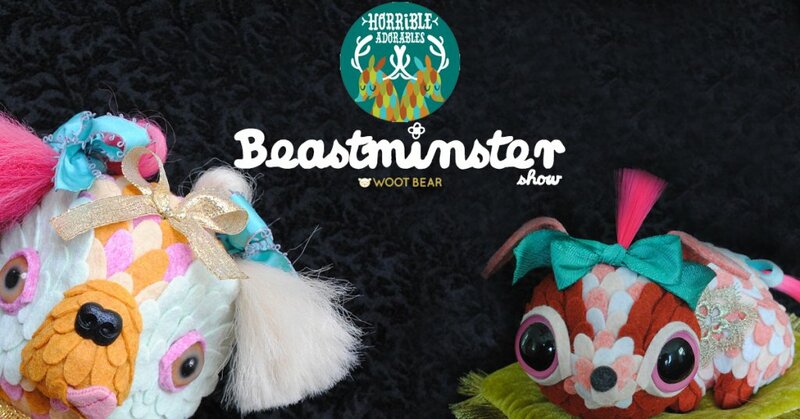 Expect to see Horrible Adorables trademark wool felt goodness and a showcase of the colourful & cute work of the Cleveland duo with a Beastminster as well as one of a kind art collectables. Below is a little teaser from the show. You can find Jordan Elise – Horrible Adorables at their Facebook , Instagram, Etsy shop .